An F-35A Lightning II taxies from the runway onto the flightline after successfully completing a sortie Dec. 14, 2015, at Luke Air Force Base. The F-35 is being adopted internationally by eight partner nations, including Norway, Italy and Australia. 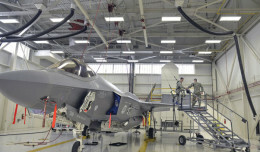 WASHINGTON — The program executive officer of the F-35 Lightning II aircraft program said the rapidly changing, growing and accelerating program is at a “pivot point” as officials address a number of challenges. 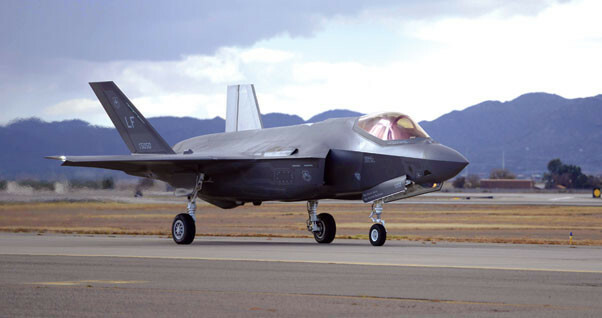 The F-35 program, also known as the Joint Strike Fighter program, is of vital importance to U.S. security, Lt. Gen. Christopher C. Bogdan told the Senate Armed Services Committee during an April 26 hearing on the program. Production will grow from delivering 45 aircraft in 2015 to delivering more than 100 airplanes in 2018, and up to 145 by 2020, he said. In addition, in the next four years, the program will continue a standup of 17 new operating F-35 bases across the world.